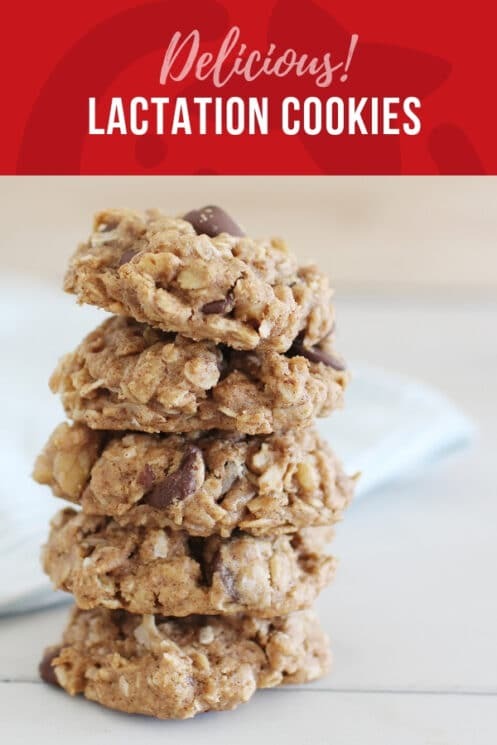 Lactation cookies contain a few ingredients that are thought to help increase milk supply. 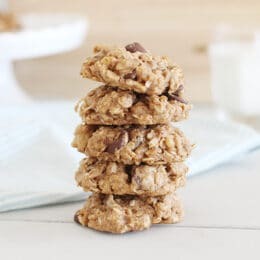 If this is your first time hearing the term, you may have thought like I did that they were cookies made with breast milk. This is NOT the case! Instead, they contain specific ingredients to assist milk production. We included flax seed, brewers yeast, and oats. 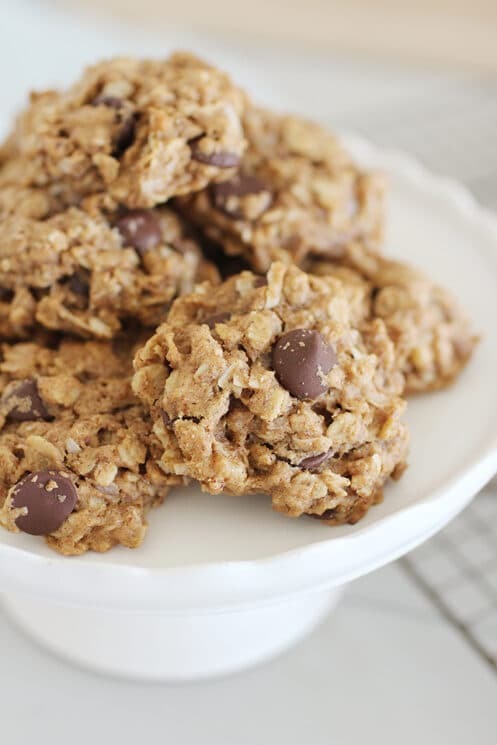 They are hearty, full of calories, and anyone in the family will love them, not just the nursing mother! Flaxseeds contain phytoestrogens that can influence breast milk production. Flaxseeds also contains essential fatty acids, which is vital for a good milk supply. With iron being a key nutrient for milk production, oats can be a healthy and natural way to supply it. Nursing more often- the more you nurse or pump, the more your body will produce to keep up with the demand. Eat enough calories – any caloric deficiency is going to have a negative impact on your supply. Adding 500 calories per day to your base needs is usually sufficient. Stay hydrated – Being adequately hydrated can assist with production. Breast massage – sometimes clogged ducts can inhibit release of breast milk. Massage can help loosen these up. 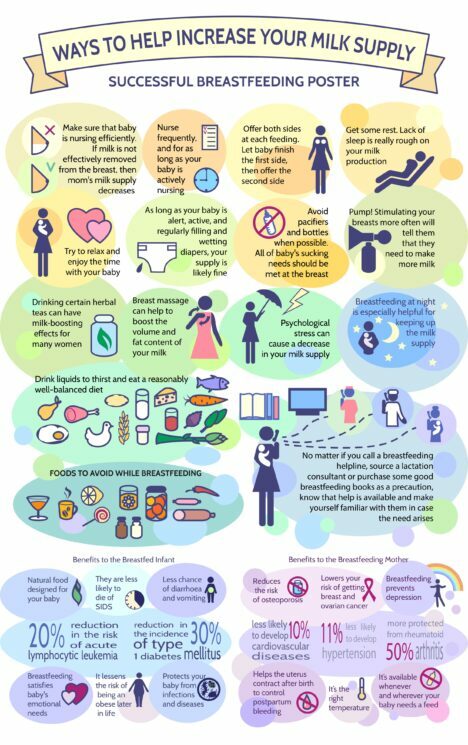 Hot pads or hot shower – Getting blood flow to the area can assist with letting the milk down. REST! Rest is vital to limiting stress and increasing your supply of milk. 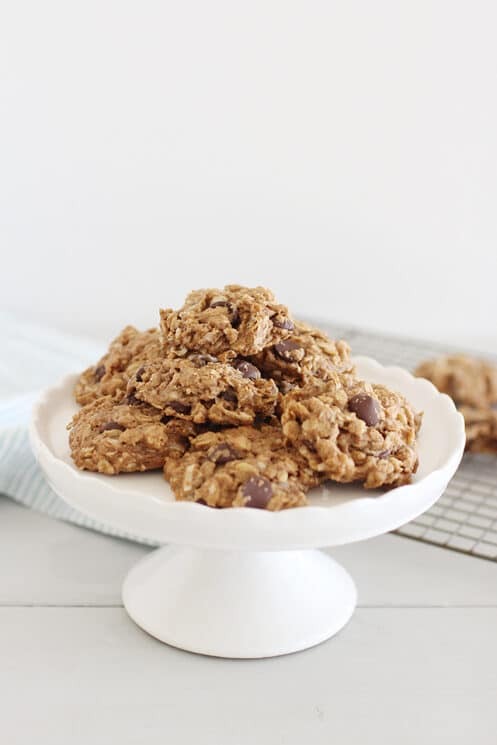 Let us know if you try these cookies and if you notice an increase in milk production! READ NEXT ==> 8 Tips for breastfeeding moms returning to work. In a large mixing bowl add room temperature butter, almond butter and honey. Mix well. Add eggs and vanilla and thoroughly mix together. In a separate bowl, add flour, baking soda, baking powder, salt, flax meal, cinnamon, oats and Brewers yeast. Gradually add to the wet ingredients and stir after each addition of flour. Gently mix in the coconut flakes, walnuts and chocolate chips. 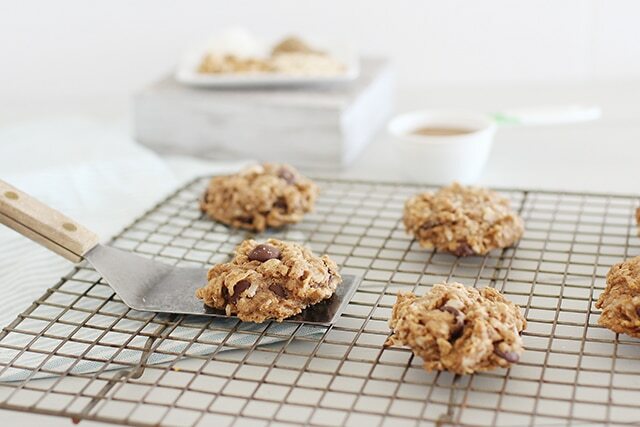 Drop by tablespoons onto a baking sheet. Bake for 9-11 minutes, or until the bottom of the cookie is slightly brown. Allow to cool before eating. Makes 24 cookies. Any recommendations as to where to find brewer’s yeast? What I have found on Amazon is super expensive! Can you use vegan butter for a dairy free option? I haven’t tried it, so I’m not sure. Let us know if you do!